Pallotta, Andrew, The Con Job, WAMC, May 2, 2017. This is a transcript of a radio commentary. Andrew Pallotta is president of the 600,000-member New York State United Teachers. Chartock, Alan, If legislative leaders are against a ConCon, should we be for it?, Legislative Gazette, March 3, 2017. Also published in Oneida Daily Dispatch on March 4, 2017. Note: this could also be read as a pro op-ed, as more than 90% of the argument, especially that backed by facts, is pro. But out of respect for the author’s conclusion, NewYorkConCon.info is placing it in the con column. Editorial: Fix this government and vote this fall for a Constitutional Convention, New York Daily, News, May 22, 2017. Editorial: Update the ways New York votes, AM New York, May 7, 2017. Editorial, In Our Opinion: New Yorkers need to approve a convention, Daily Star, September 20, 2016. Editorial, No action on constitutional convention, The River Reporter, August 24, 2016. Editorial, Constitution flaws must be addressed, Press Republican, December 17, 2015. Editorial, New York can still fix this, Albany Times Union, July 1, 2015. Editorial, Leaders failed; let people try, Press-Republican (Plattsburgh, New York), March 29, 2011. 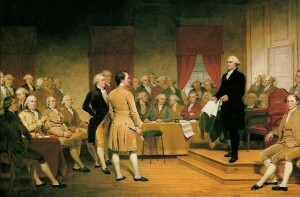 Editorial, New York State needs a constitutional convention, Newsday, June 24, 2009. Editorial, Why New York State might vote to do the con-con, Newsday, May 30, 2017. Newsday stops just short of an outright endorsement of a yes vote. Editorial: Let’s talk about clean water and air, AM New York, April 24, 2017. Editorial: Cronies with benefits, Times Union, March 25, 2017. Editorial: No time to waste in 2017 Albany Agenda, AM New York, January 9, 2017. Editorial, No recall for New York, Times Union, January 24, 2016. Niskayuna, Don, Extra payments show need for convention, Daily Gazette, June 4, 2017. Mouse, Mickey (pseudonym), What I want done in New York State, Niagara Falls Reporter, November 17, 2016. Figliola, Anthony, Convention rewards ‘politically connected’, Observer, May 23, 2017. Figliola is an Albany lobbyist at Empire Government Strategies working for former longtime New York State Assemblyman Arthur “Jerry” Kremer. Pelliccia, Vincent, Country needs fixing but not a convention; State convention won’t fix New York state, Daily Gazette, May 23, 2017. Pelliccia is an NYSUT delegate representing NYSUT Retiree Council 10. Libertucci, Michael, Convention not the answer to corruption, The Daily Gazette, May 13, 2017. Libertucci is the political action coordinator for the Schalmont Teachers Association. Stewart, Rich and Peter Yan, Costly Constitutional Convention not the answer for change, Finger Lake Times, April 21, 2017. Morgano, Mickey, Elections Are Still The Best Means Of Change, Shawangunk Journal, March 23, 2017. Hebert, George, Governor needs to change his approach, The Daily Gazette, March 11, 2017. Faggioni, Carolyn, Take heed of fall vote on state constitution, Newsday, March 6, 2017. Gutekunst, Claire P., Bar association’s position is to educate, Albany Times Union, July 31, 2016. Its Time for Autonomous Regions, http://www.newamsterdamny.org, May 26, 2017. Spitzer-Rubenstein, Michael, Will New York have a Constitutional Convention?, Shaking News, May 24, 2017. Galie, Peter and Christopher Bopst, Why New York Needs a Constitutional Convention, Rockefeller Institute Blog, May 24, 2017. Cheung, Jacklyn, NY Constitutional Convention: A Pathway to End Corruption, Truth Against the Machine, March 19, 2017. Kaplan, James S., As the 2017 Referendum on the New York State Constitutional Convention Approaches: A Look Back At the Early Accomplishment, True Blue, January 11, 2016. Norton, Beth, Matters of Interest – Constitutional Amendment By Legislative Referral: How Public Pensions Could Be Affected, Mondaq, April 7, 2017.